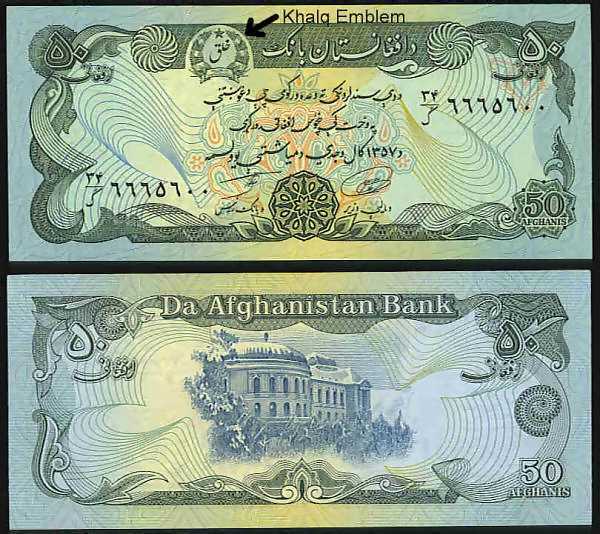 UNC,10 Afghani, 1358 date in Persian. 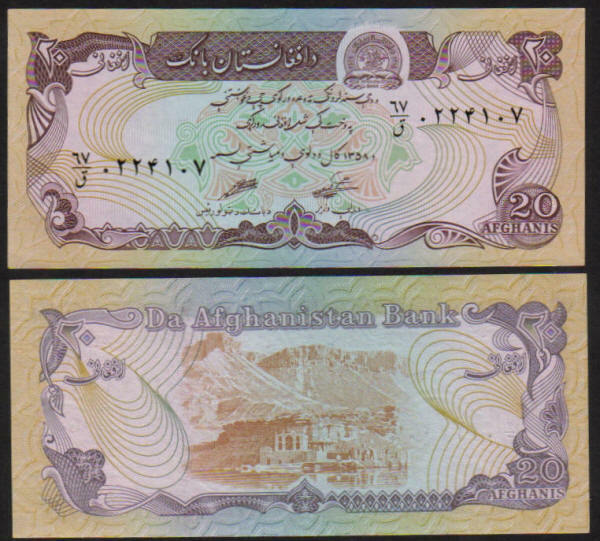 UNC, 20 Afghani, 1358 date in Persian. 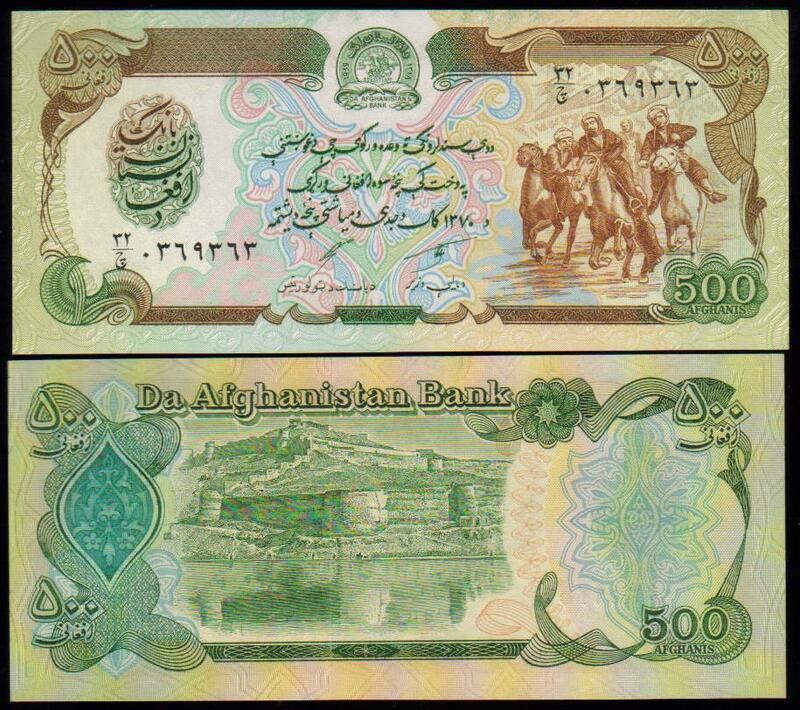 UNC,500 Afghani, 1358 date in Persian. 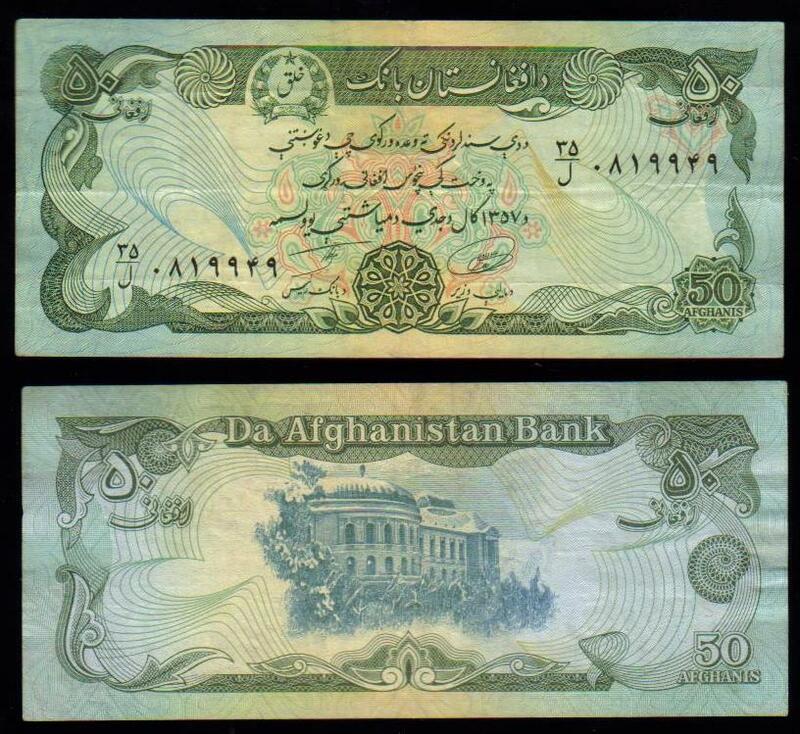 UNC, 500 Afghani, 1369 date in Persian. 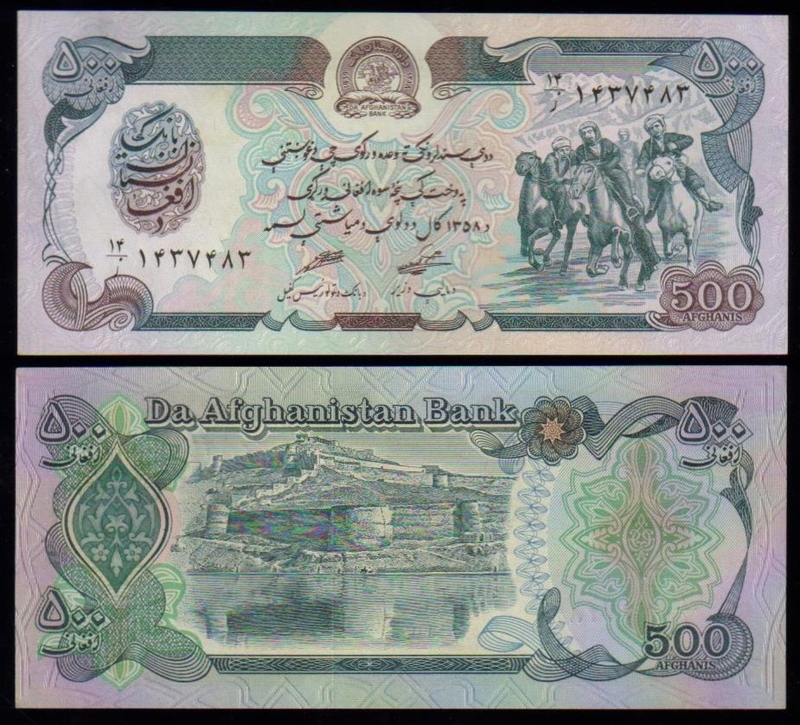 UNC, 500 Afghani, 1370 date in Persian. 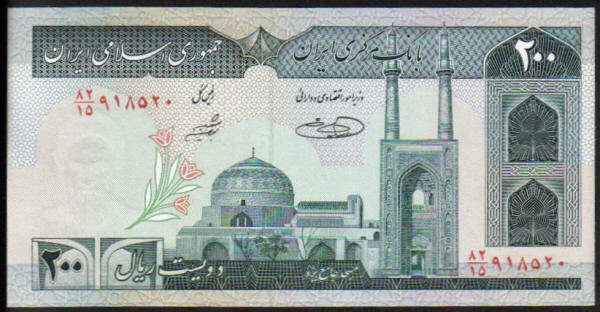 UNC,1000 Afghani, 1370 date in Persian. 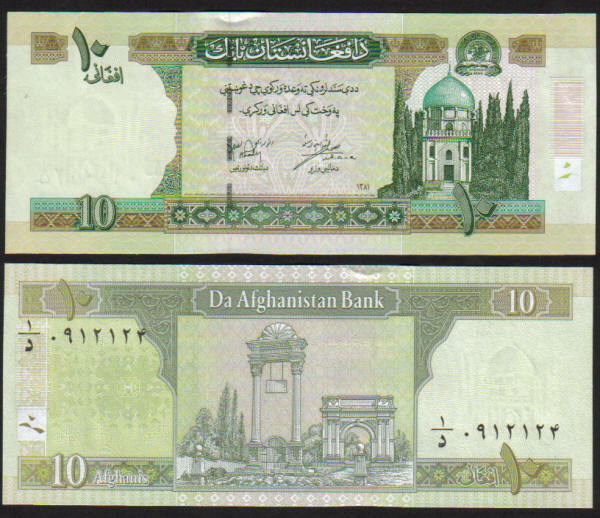 UNC,10,000 Afghani, 1372 date in Persian. 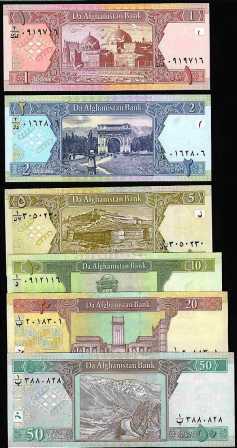 Set of 6 denominations, 1, 2, 5, 10, 20 and 50 New Afghani, all with the original 1381 date, all UNC. 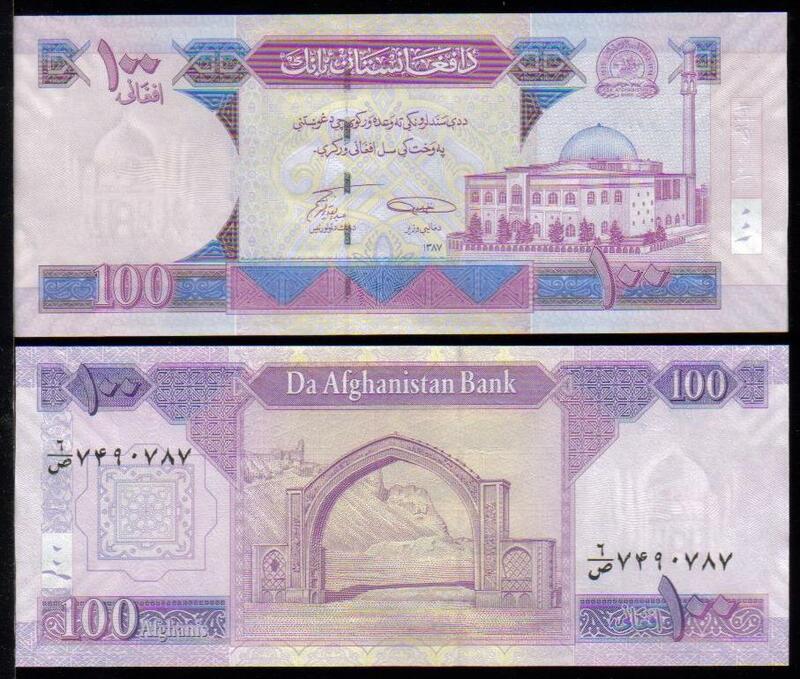 UNC, 1 New Afghani, 2002 Republic issue, Mosque of Mazari-i Sharif on the back. 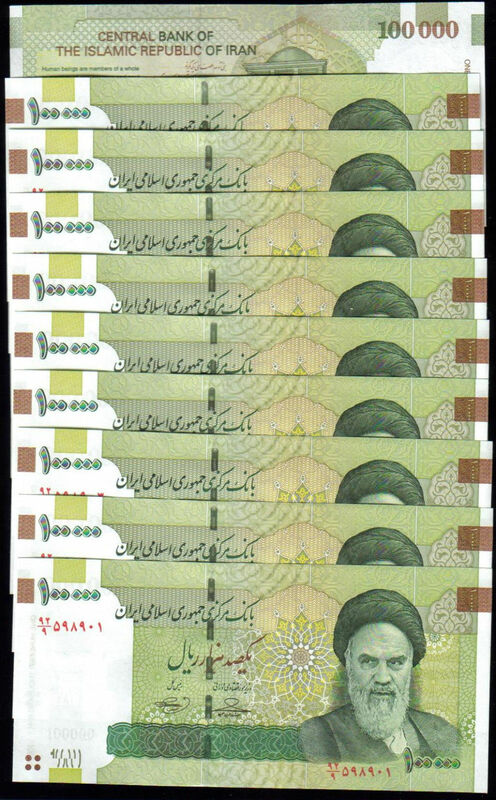 UNC, 10 New Afghani, 2002 Republic issue. 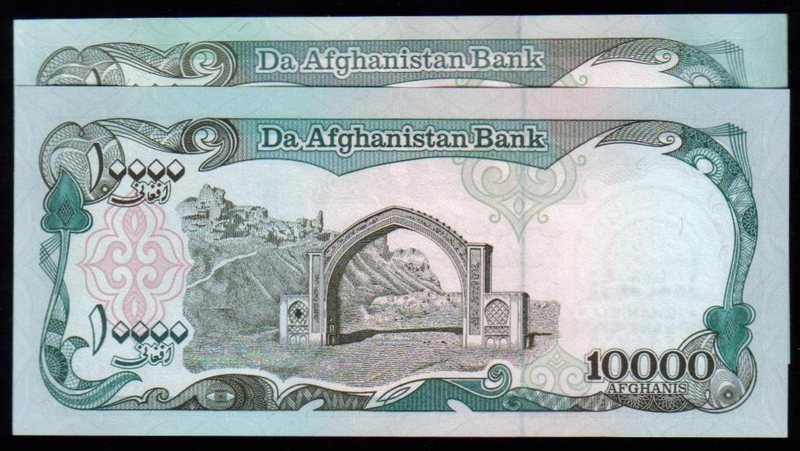 Victory Arch near Kabul at center on the back. 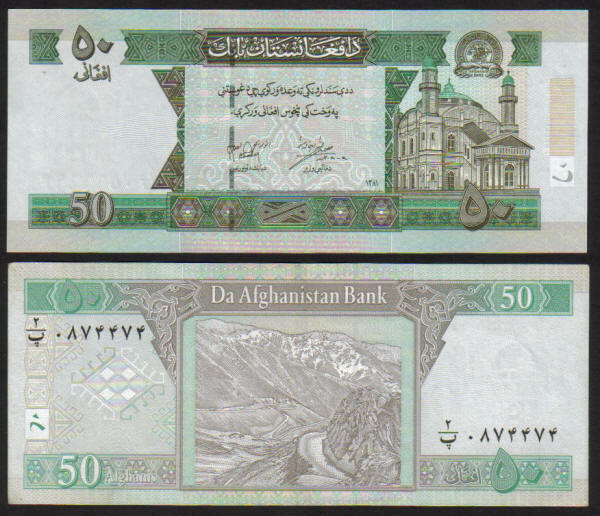 UNC, 50 New Afghani, 2002 Republic issue. 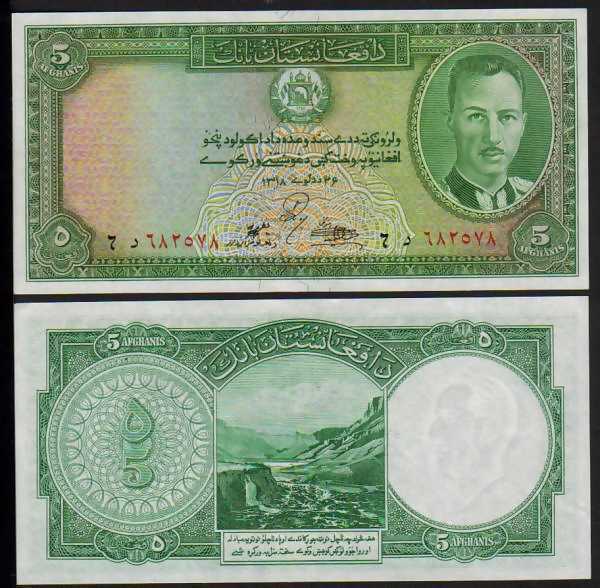 Salang Pass on back. 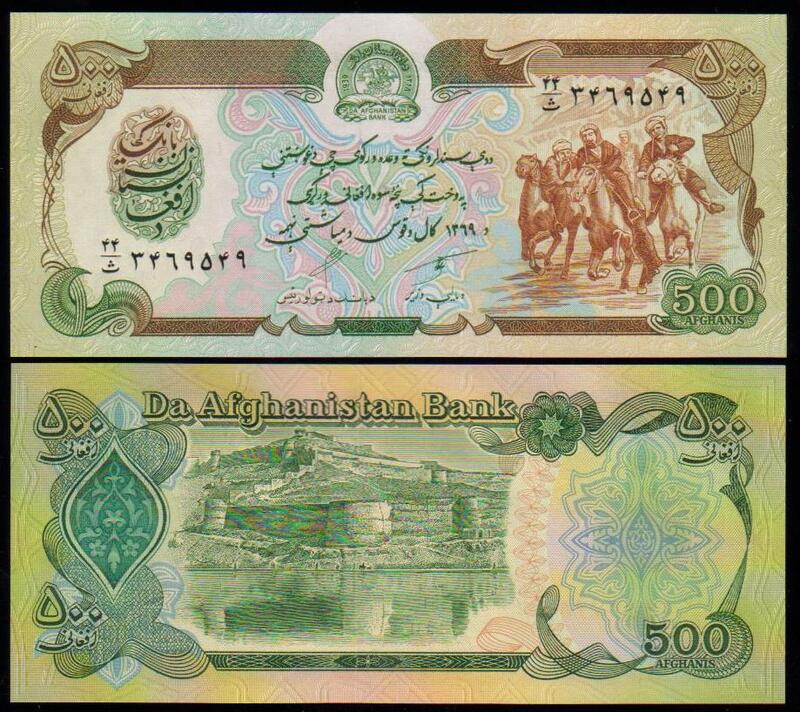 UNC, 100 New Afghani, 2002 Republic issue.